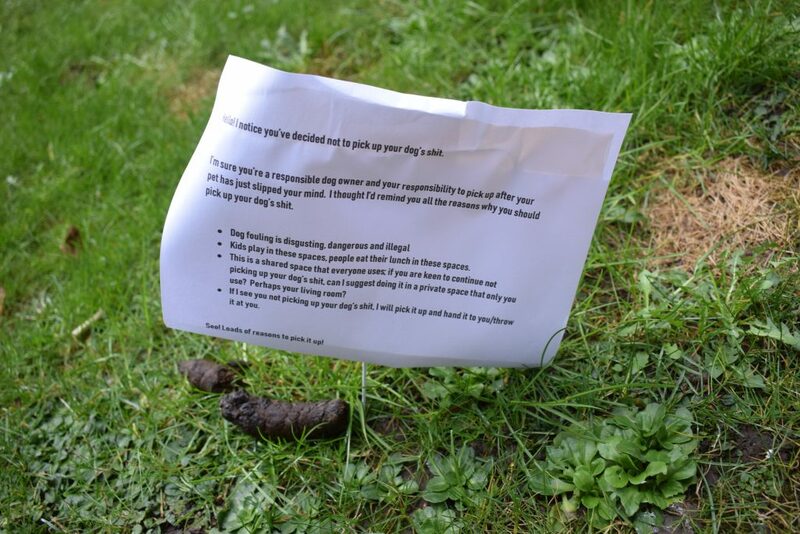 A FED-up resident is planting hilarious signs next to piles of dog mess – threatening to chuck the poo at the culprit. The carefully-written and neatly-printed warning notices have appeared in an Edinburgh courtyard where several pooches are kept. This morning alone, two of the signs could be seen next to mouldering piles of dog faeces in the city’s Breadalbane Street, where two-bedroom flats fetch over £200,000. The signs, printed on A4 and stuck in to the grass with metal wire, start off with a passive-aggressive: “Hello! I notice you’ve decided not to pick up your dog’s s***. The note continues: “I thought I’d remind you all the reasons why you should pick up your dog’s s***. “Dog fouling is disgusting, dangerous and illegal. Kids play in these spaces, people eat their lunch in these spaces. The tone of the note then switches from passive-aggressive to plain aggressive. 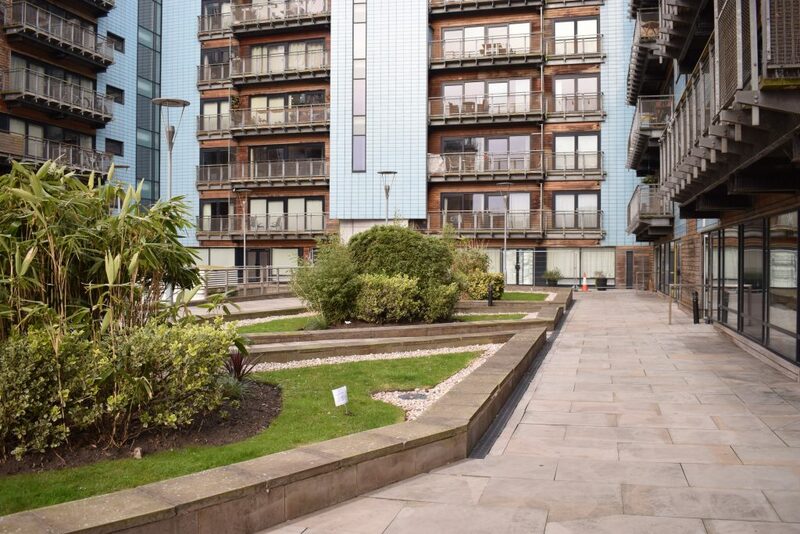 A resident who lives in the building, Liam Cumbers, said of the note: “I like it because you should be made aware. If you can be fined for littering then you should be fined for this. Another resident, Kate Farrell, understood why the note was placed there. She said: “I can see why residents get worked up. My son plays here so I’m not happy that there is dog excrement left there. Rory Laing, currently working in one of the businesses in the area, said: “It’s an interesting start to a Monday morning. “I think it shows, ironically, the time it has taken to write the note and print it than it would have been to actually pick up the dog mess.